A woman of enormous generosity and an intelligent mind, Evelyn Ruth Whiteman leaves behind quite a legacy. 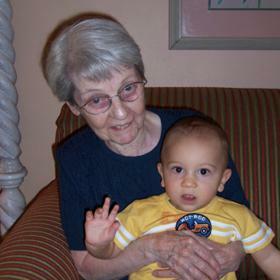 She was a loving wife, a caring mother, and a dear grandmother and friend to so many. As we seek comfort in our sadness, we can also reflect on the memorable life Evelyn lived in her 93 years with us. Evelyn began her life in 1924. This was a year which made its mark in history with several firsts. The United States began the first regular airmail services. Additionally, the world celebrated the first Winter Olympic games in France. Also up in the skies, the U.S. Army celebrated two planes completing the first round-the-world flight in 175 days. On the surface of the Earth, New York City held the first Macy's Thanksgiving Day Parade. Life was good for many reasons. Goodness found its way into the lives of Pierce and Florence (Welch) Lewis as well, for they were preparing to meet their daughter. Evelyn Ruth was welcomed into the world on July 15, 1924. She was greeted by two older siblings, Dean and Russ. Before long, Wayne, Bob, Earl, Joan, & Shirley joined the family making it an even eight. Their father worked tirelessly to support the large family as a superintendent of a paper mill. Their mother stayed home to keep the family organized and peaceful. Though the kids spanned many years, they were a very close family. They spent their childhood years on the west end of South Bend. Evelyn benefitted by having older brothers; in fact, Dean would often sneak her into dances and movies. Evelyn absolutely loved to dance. As the only girl in the family growing up and into her teen years, she was not exactly pleased to hear that her parents were expecting another baby girl. In fact, she absolutely refused to even acknowledge her little sister's arrival. When Evelyn's father confronted her about her refusal to meet Jo, he demanded that in no uncertain terms she was to march upstairs immediately and say hello. Upon peeking into the beautifully adorned bassinet made with much love by a family member, Evelyn spotted her sister. In one instant, her heart melted with love, and she never had another ill thought about Jo. She picked up her sweet sister, and the two were practically inseparable from that moment on. Evelyn often shared with others that she and Jo were more like twins even despite their age gap. Over the last fifteen years of her life, they talked on the telephone every night. Sometimes they would even simultaneously watch television shows together and discuss all the details as they transpired. As Evelyn matured and attended high school, she excelled in some areas but fell short in others. Not once in the history of Mishawaka High School had a student ever failed the swimming test - that was until Evelyn jumped in the water. Thankfully her swimming inabilities did not get in the way of earning her high school diploma. In short time, Evelyn entered motherhood with natural grace. Her son, David, was born in 1945. Mother and son shared his infancy and early toddler days together until a father figure joined them. Evelyn met Richard on a blind date which was set up by a mutual friend. It was 1947 when the two fell quickly in love. They dated for only a short time and decided to get married. Richard lovingly adopted David soon after the wedding. The family settled down in a home together at 705 Kamm Court in Mishawaka, Indiana. 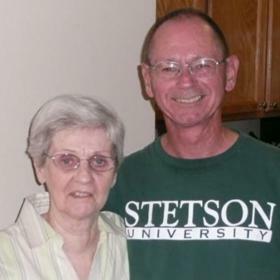 Richard worked at Studebaker in South Bend to earn a living for the family. Aside from working, the couple enjoyed many happy times together early on. Along with Evelyn's love for dancing, she found her voice with a little liquid courage. Richard's friends were in a band, and she would often sing with them. A few years into their new lives together, they welcomed their daughter, Sandra, in 1952. The family of four was then complete. 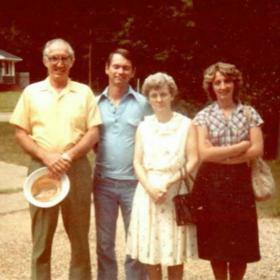 Once the family was mature enough, Richard and Evelyn started Automotive Color, an auto body parts supply company located in Elkhart. Somehow, Richard talked Evelyn into working for just a year to help get the business started. She agreed, and then finally retired 44 years later! She officially became the office manager while Richard went on the road with sales. Their partnership worked wonderfully and became a model for other family members to follow. They worked alongside several nephews and their son, David (who worked there for 39 years). Even their grandsons and granddaughters were able to work for them. Each and every one who found employment there got to know a different side of Evelyn. She was constant in her fairness and remarkably tough. Affectionately, others knew her as "Boss Lady." One of her most triumphant highlights throughout the years was mixing the paint that was used on Elvis Presley's van. After many successful years, they decided to sell the business in 2002. The family business took time, but the family was still able to steal moments for many memorable occasions. It was the Christmas family tradition to travel to G & G Lewis' home in Arkansas, and many Easters were celebrated in San Antonio, Texas with family. Adventures were also shared in Iowa, Illinois, Ohio, and Arizona among many other places. One of their favorite destinations was Disney World where they took many family members along to share in the fun experience. Evelyn found ways to seek joy in life. She loved to get lost in a good book; however, most of her time was spent building her reputation at their family-owned business. When she was not there, she concentrated on spending quality time with her family. Throughout the years, Evelyn and Richard showered others with their generosity. Tuition and car gifts were common, and they desired nothing in return. Their love for one another was also admirable. After 49 years together, Evelyn was forced to say goodbye to the love of her life. With the support of her family and friends, she found the goodness in life again. Evelyn remained sharp even as she progressed in age. 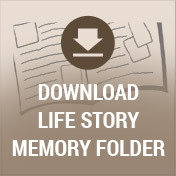 Her memory was keen and her desire for personal independence remained steady. She walked around on her own two feet right up until she passed away. We will miss her warm heart and loving nature, but we will certainly never forget the place she will always have in our hearts. Age 93, passed away at her home February 27, 2018. Evelyn was born July 15, 1924 in South Bend, IN to the late Pierce and Florence (Welch) Lewis. 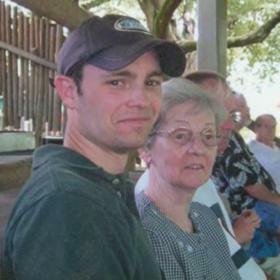 Also preceding her in death was her husband of 49 years, Richard Whiteman; and son-in-law, J. Wagner Wheeler. 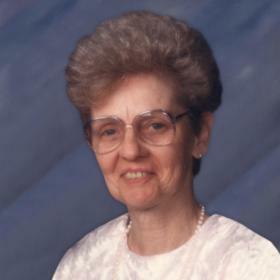 Evelyn is survived by her children, David (Rita) Whiteman of Port Charlotte, FL, Sandra Wheeler of Walker; grandchildren, Timothy (Janice) Whiteman, Kimberly Brock, David Ray (Jolie) Whiteman, Kristin (Shawn) Mende; great-grandchildren, Timothy Whiteman II, Michella (Joe) Dangler, Tiffany (Kevin) Horan, Ryan (Billy Jo) Wheeler, Ian Whiteman, Ella Whiteman; and 6 great-great grandchildren. Also surviving are siblings, Joan Hodges, Earl Lewis, Shirley (David) Baker all of Camden, AR; and many nieces and nephews. Evelyn will be remembered for her generosity and loving spirit. A service to celebrate her life will be held Saturday March 10, 2018 at 1 PM at Heritage Life Story Funeral Home, 2120 Lake Michigan Drive NW. Friends may visit with her family beginning at Noon.  Please visit Evelyn's personal web page to learn more of her life story, leave a memory or condolence at www.lifestorynet.com.